If you're a user of the popular media hub / DLNA / UPnP service BubbleUPnP, the Android app has just received a significant functionality enhancement you may be interested in. Previously, if you wanted to cast a video or audio file not natively supported by Chromecast, you had to have a BubbleUPnP Server install on a computer on your local network so that the media could be transcoded before casting. The reason for this limitation was twofold: battery consumption on the Android device and the limited processing power of older phones. 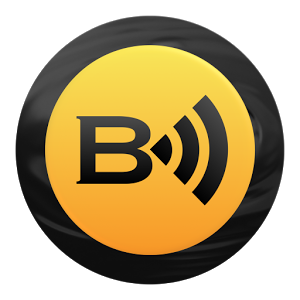 But a recent update to BubbleUPnP for Android will transcode casted audio and video on the device (the phone/tablet, not the Chromecast) locally if need be. Transcoding video is a CPU-intensive task even for a mid-range laptop, so it's easy to see why that's something you might not want to try and undertake on your Moto X. Audio transcoding, though, is generally much less hungry - a smartphone could probably handle it without burning a hole in your pocket or a big chunk out of the battery. If you're not in the habit of playing back a lot of local video files, the benefits of transcoding audio alone may not be immediately clear, but they're quite real: many videos out there in widely-supported playback formats (AVI, MP4, etc.) have audio tracks encoded in formats that may not be supported by certain devices (such as AC3). Having to install BubbleUPnP server on a laptop or other PC simply to transcode the audio in an otherwise-supported video so you could cast it kind of defeated the whole "simplicity" aspect of casting, unless it was something you already had set up. Now, BubbleUPnP for Android will intelligently transcode as needed. So, if it's only the audio that's unsupported for casting, that's all BubbleUPnP will transcode. If it's video, it'll do that too. Now, how your individual device will hold up transcoding video (let alone video and audio simultaneously) isn't guaranteed - it may be unusable. And even on a high-power device like a Nexus 6, you're still going to blow through the battery like it's no one's business if you're actively transcoding 1080p video. But the option is now there if you want it, and options are always good.